Jason Mizzer started with AROCON back in 2012. He has worked his way through the company from Project Manager, to Production Consultant, and most currently as our resident Commercial Project Consultant. Jason enjoys being able to see through large commercial projects from planning to completion. From starting with a set of plans and making those a reality. Jason is a die hard sports fan. He enjoys watching some of his favorite teams playing football, basketball, and hockey. 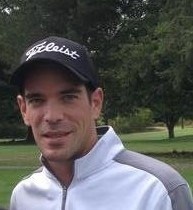 When Jason is not working or at at a sporting event, he can be seen golfing with friends.